Replacement antenna only for FireStar XP Outdoor Wi-Fi Module, RP-SMA Male, 6.6” Temperature Sensor Probe for furnaces with a Digital Temperature Controller (p/n 2000155). Used to splice together lengths of shielded cable. Includes 3-position terminal connector. Rated for underground burial. Cable sold separately (p/n 8200012 and 10489-SP). Replacement Digital Temperature Controller for Classic (including Pallet Burner) model outdoor furnaces only (after s/n 25151). Upgrades FireStar II controller from software version 6.2 to version 6.42. Software version 6.4x or higher is required to enable FireStar II to connect to the FireStar XP. Includes memory card, tweezers for installation/removal, FireStar II Owner's Manual and instructions. Some earlier E-Classic models will require Wiring Kit to be able to monitor the bypass door and gas-fired wood ignition when installing the FireStar II Controller remote monitoring system for the E-Classic furnaces. 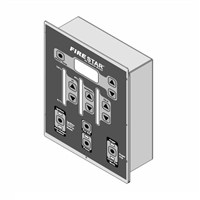 Contact your dealer to be determine whether the FireStar II Wiring Kit is required. Optional method of data logging for outdoor furnaces without FireStar XP. Requires software version 6.x. Information can be uploaded to MyFireStar.com website but card must be returned to Central Boiler for that to occur. Includes memory card, tweezers for installation/removal and instructions. 3-Conductor Shielded Cable, 100-ft roll, used to connect FireStar II controller on outdoor furnace on FireStar XP Wi-Fi module. Cable is waterproof, UV-resistant and rated for underground burial. Outdoor wi-fi display can be used to remotely view operational data on the FireStar II controller. Compatible only with a properly configured FireStar II equipped outdoor furnace (with software version 6.4x or higher on E-Classic and Classic Edge models). Kit includes FireStar XP Outdoor Wi-Fi Module, wiring, Quickstart Guide, Operator's Manual and installation instructions. Kit includes FireStar XP Wi-Fi Module, wiring connector, Quickstart Guide, Operator's Manual, Connection Kit and installation instructions. Cable from FireStar II controller sold separately. NOTE: Must be wired to furnace. Connection Kit for wiring and installing the FireStar XP Desktop Wi-Fi Module includes power supply adapter, 6-ft serial cable, cable grip and screw terminal. Remote desktop display can be used to remotely view operational data on the FireStar II controller. Compatible only with a properly configured FireStar II equipped outdoor furnace (with software version 2.5x or higher on Maxim M255 PE models). NOTE: Must be wired to furnace. Connection Kit for wiring and installing the FireStar XP Desktop Wi-Fi Module includes power supply adapter, 6-ft serial cable, cable grip and screw terminal. 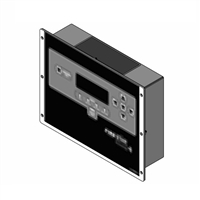 Remote wall-mount display can be used to remotely view operational data on the FireStar II controller. Compatible only with a properly configured FireStar II equipped outdoor furnace (with software version 6.4x or higher on E-Classic and Classic Edge models). Kit includes FireStar XP Wi-Fi Module, mounting screws and anchors, Quickstart Guide, Operator's Manual, Connection Kit and installation instructions. Cable from FireStar II controller sold separately. NOTE: Must be wired to furnace. Connection Kit for wiring and installing the FireStar XP Wall-Mount Wi-Fi Module includes power supply adapter, 6-ft serial cable, cable grip and screw terminal. 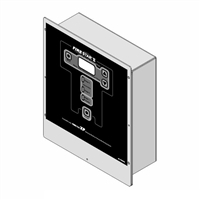 Remote wall-mount display can be used to remotely view operational data on the FireStar II controller. Compatible only with a properly configured FireStar II equipped outdoor furnace (with software version 2.5x or higher on Maxim M255 PE models). NOTE: Must be wired to furnace. Connection Kit for wiring and installing the FireStar XP Wall-Mount Wi-Fi Module includes power supply adapter, 6-ft serial cable, cable grip and screw terminal. Outdoor wi-fi display can be used to remotely view operational data on the FireStar II controller. Compatible only with a properly configured FireStar II equipped outdoor furnace (with software version 2.5x or higher on Maxim M255 PE models). NOTE: Wireless range varies widely with each installation. Prior to purchase, a site survey (using a Smartphone or laptop) should be performed to determine if the furnace site is within range of customer's existing wi-fi network. Range is generally up to 100 feet when unobstructed and there is no interference. Uses 802.11 technology. FireStar II is a controller system that allows you to monitor your furnace on your computer or Smartphone (to be used in conjunction with desktop [p/n 2500171], wall-mount [p/n 2500170] or outdoor [p/n 2500070] FireStar XPs sold separately). 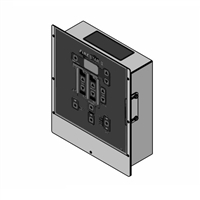 FireStar II Controller with version 6.42 software can be installed on all E-Classic 1450, 2400 and 3200 models produced prior to June 2012, and on all E-Classic 1400 models. Some earlier models will require Wiring Kit (p/n 2500023) to be able to monitor the bypass door and gas-fired wood ignition. Replacement FireStar controller for Classic Edge 350, 550 and 750 models without stepper motors. Replacement FireStar controller for Maxim 250 & 255 P models. Replacement FireStar controller for Maxim 175 models. 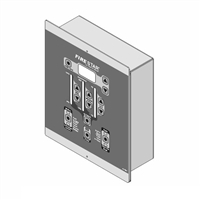 Replacement FireStar controller for Maxim 255 PE models. Replacement FireStar controller for Forge 1500 and 3500 models. Power supply (part number 8200275) is sold separately. Replacement FireStar controller for Classic Edge 350, 550 and 750 models with stepper motors. Power supply (part number 8200275) is sold separately. 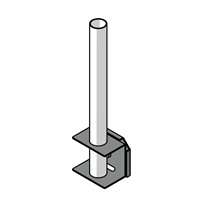 3-Conductor Shielded Cable, 1000-ft roll, used to connect FireStar II controller on outdoor furnace on FireStar XP Wi-Fi module. Cable is waterproof, UV-resistant and rated for underground burial.